A License to Sparkle by Pretty and PinKK! The Daily Scrub is so happy to introduce Kailey Konow, the gorgeous editor and founder of the popular Pretty and PinKK blog! The Holiday season brings so much happiness and a lot of dinners, parties and fun. Weather you are on the go every night or once a week, we all need a few extra beauty tips during the overload of the holidays. Pretty and PinKK reports on the DO’s + DON’T’s for beauty this season! The holidays are my favorite time of year. The streets are dressed up with special once-a-year décor, stores are enveloped with mouth-watering scents, houses dazzle with pretty lights all-a-glow, and the ground glistens with a fresh blanket of snow. If you can ignore the long lines, the now more-than-occasional rudeness and the sweat on your brow from going in and out of overheated shops, then you can really appreciate the beauty of the season. The beauty world is no different. Everyone seems to up their game a bit. Bright and colorful packaging from your favorite brands; gorgeous window displays featuring seasonal kits you “have to have”; and even daring makeup looks from that girl next door who never wears makeup, holidays are a time to play. So what’s my idea of holiday beautiful? Sparkle! The holidays give you this freedom to add a little of this or a dash of that– sort of a license to sparkle, if you will. DO opt for shimmer not glitter on your face. Big chunks of glitter can look obvious or immature. Stay sweet with shimmer. DON’T go overboard. From sparkly nail polish to twinkly eye shadow, you could literally glow from head to toe! Pick one or two features to highlight and keep the rest neutral or matte. For example, if you shimmer your eyes, keep your lips matte. DO go for glitter or shimmer nail polish. Nails are the one acceptable place to have some fun! DON’T think you’re too old to pull off some sparkle in your life. Apply in areas with few lines or wrinkles so the shimmer won’t draw attention to them. Shimmer eyeliners and cheek highlighter are great options for any age. DO stay away from shimmer liquids for eyes and face. These can often apply unevenly if you’re not a pro. Sweeps of shimmer powders are more subtle, buildable and much easier to control. DON’T sweep or brush on sparkle eye shadow. This can literally make it spread all over your face. Instead, pat it on to keep a controlled sparkly eye (and don’t forget that eye primer so your hard work lasts!). DO remove sparkly makeup with a cotton round, some baby power and hairspray. Sound funny? Well, it works well to help remove most of the sparkle before you cleanse your face. Take a cotton round, apply a little baby powder, quickly spray with a shot of hairspray and gently buff away. The baby powder acts as friction to help buff while the hair spray helps the sparkle stick to the cotton pad. My best tip to surely sparkle this holiday season? DO wear a smile. It’s infectious, spirited and, most importantly, holiday beautiful. http://www.thedailyscrub.com/wp-content/uploads/2017/08/dailyscrub-logo.jpg 0 0 lauren http://www.thedailyscrub.com/wp-content/uploads/2017/08/dailyscrub-logo.jpg lauren2012-12-21 20:18:332017-08-07 00:34:21A License to Sparkle by Pretty and PinKK! Holiday Beautiful: Lipstick and Luxury reports! 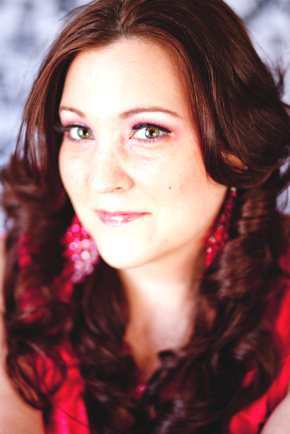 Th Daily Scrub is so happy to introduce our feautred guest blogger this week, Nicole Dantzler, from Lipstick and Luxury! We are so honored to have her cover her top picks on staying beautiful this holiday season! Thank you, Nicole! We are well into the holiday season filled with lots of family gatherings, office parties and festivities. The season can literally leave us drained and not just of your holiday spirit! Exhaustion around the holiday season is common. But with a few tips, you can make it though the season looking and feeling your best. And your guests will appreciate it too! Dry skin can make us look tired and older than we really are. So it’s important to exfoliate our skin so that we can gently remove the dead skin to reveal a more polished and youthful looking skin underneath. One of my favorite, more glamorous scrubs is the GOLDFADEN MD Doctor’s Scrub which contains Ruby Crystals and is almost as effective as microdermabrasion. I don’t just use this scrub on my face, I love it on my legs, its leaves them glowing! 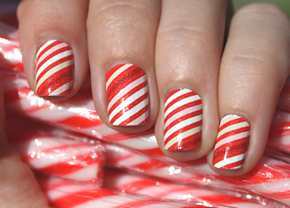 Nail Art is perfect for the holiday season and even if you’re not a fan of this huge trend you can still join in the fun. If nail art is not something that fits your style then perhaps a nice glittery shade might suit your tastes a bit more. A fun shade like Scallywag from Butter London is the perfect way to add a pop of festive color. Bronzer is not just for the summer. During the winter months your skin begins to lose that warm summer glow but there are safer alternatives like bronzers. For some simple winter shimmer that won’t leave you feeling like you spent the weekend at the Jersey Shore, I love Stila’s One Step Bronzer, its primer, moisturizer and bronzer all in one and it delivers just enough shimmer for a sun-kissed glow. Water not only keeps you hydrated but it keeps your skin nourished and supple. Since some of us (like me!) tend to indulge a bit more during the holidays, it’s the perfect time to drink a little more water. Not only does water assists in removing harmful toxins from our body but it also gives us a much needed energy boost which is what everyone needs around the holidays. With just a few simple tips, you can maintain your holiday beautiful. What steps do you take to stay glamorous during the holiday season? Lipstick and Luxury is my journey to finding the right beauty products while nourishing my body and soul. To me beauty should be equal parts great beauty products and great nutrition. I love mixing natural beauty tips with good nutrition and great beauty products to take the best care of myself possible. Lipstick and Luxury focuses on products that are natural, organic and cruelty-free! I think that every woman should Live Life Luxuriously! Join Nicole’s virtual friendship and follow her today on Twitter @LipstickNYC, Facebook and Pinterest! http://www.thedailyscrub.com/wp-content/uploads/2012/12/Holiday3.jpg 197 290 lauren http://www.thedailyscrub.com/wp-content/uploads/2017/08/dailyscrub-logo.jpg lauren2012-12-10 20:09:172017-08-07 11:07:34Holiday Beautiful: Lipstick and Luxury reports! There is a key ingredient to healthy skin that is one of the most dynamic substances that the human body produces. It controls everything from normal bone growth and immune system response to healthy eyesight and neuromuscular function. It is absolutely essential to the long-lasting health and beauty of the skin through its crucial involvement in skin cell metabolism, growth, repair and protection. This amazing and largely overlooked nutrient is none other than vitamin D.
Every skin cell begins its life deep in the base layer of the epidermis. As these immature cells detach and migrate upward on their 2 week journey to the surface, they go through a series of complex changes in both form and function. The rate at which these cells divide, the nature and timing of their changes, as well as their transit time to the surface, are all controlled by growth factors and other molecules that are triggered by the presence of vitamin D.
The skin loses and must replace about 40,000 cells every minute. If enough vitamin D is not available to fuel this process, replacement cells won’t be manufactured quickly enough. Inevitably, the outer layer of skin becomes thinner and more fragile. It begins to sag from lack of adequate support. Dryness and wrinkles eventually set in as moisture is lost to the outside. The skin can synthesize approximately 10,000 IU of vitamin D after just 20–30 minutes of summer sun exposure. Unfortunately, between the ages of 20 and 70, about 75% of this ability to produce vitamin D is lost. In addition, today’s predominantly indoor lifestyle and widespread use of UV-blocking sunscreens have severely decreased the amount of vitamin D the average person produces. Other limiting factors play a part as well. Darker skinned people need 5-10 times more exposure to synthesize the same amount of vitamin D as lighter skinned people. Those who live in latitudes beyond 37 degrees north or south of the equator are also at greater risk of lacking vitamin D. It is now estimated that roughly 75% of all teens and adults in the United States are vitamin D deficient. To make matters worse, most of the active vitamin D the body is able to produce is used to help build and maintain strong bones and not to nurture the skin. Woman’s Health Magazine reports on the additional health benefits of Vitamin D + suggests that it is the ultimate D-fense against diseases. Skin care products containing vitamin D are the most effective means of addressing this growing problem. Topical creams and lotions featuring highly bioavailable forms of vitamin D can specifically target the skin, effectively replenishing this vital nutrient directly at the source. Boosting levels of vitamin D promotes healthy skin by stimulating cell growth, repair and metabolism, enhancing your skin’s immune system, and quenching free radicals that cause premature aging.